We live in a time of great turmoil and change. Economically, socially, spiritually, and even biologically our nation is different every day. Our growing diversity should be a strength, not a weakness, if we can find ways to hold ourselves together by emphasizing the principles forged into traditions that made this nation great. But somehow, even simple decency and respect for each other often eludes us. Why is this? I have come to believe that we have made our great principles far too intellectual, that the beliefs that should hold us together are exercises for the brain when they should be felt with every beat of our hearts. To change this we need more solid physical reminders in our every day life of who we are, as one people – because in the end we are all made as much in the image of the doubting Thomas as much as anyone. The van Beethoven Monument in Vienna. When I was working in Germany, I took a weekend off to visit Vienna. In the drive to take it all in quickly so much of the great city sadly just passed by me. There are statues all over this ancient capital, many of them standing as the bones of a once great empire, weathering softly in the passage of time. It’s easy to let them whizz by in a blur. As I came to simple pass by the statues of Graf Radetzky rampant on a horse, I turned a corner and saw a figure I knew. 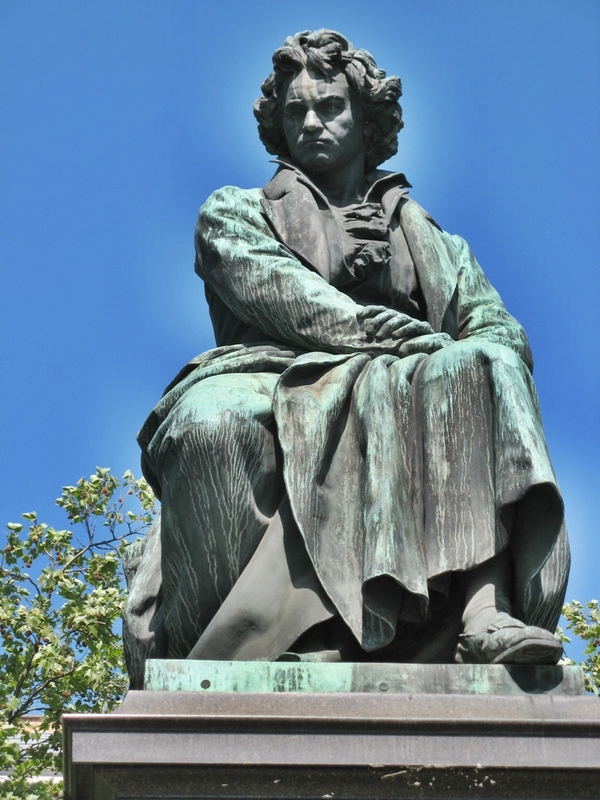 There was the gruff maestro Ludig van Beethoven, high on a pedestal with angels protecting him at the base. It suddenly dawned on me that these statues were not just ossified remains, but what people honestly believed in. They were daily reminders that were erected to instill values of loyalty and faith into a people who, just like any of us, can only truly believe what we see – can only bring into our hearts what is part of our daily routine. The Lincoln Memorial still inspires. 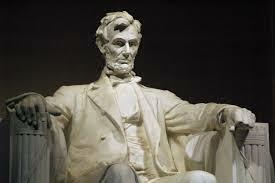 In our modern American world, statues are considered silly and old fashioned. That’s only because they were used to reinforce the “Great Man Theory” of leaders who were supposed to inspire us as if they were Gods from above. Some of them still inspire us because their deeds were so great, but others are detached. Today, history is often taught as the stories of more ordinary people who did great things. In this view of our heritage there is a greater need for statuary, not less. Let’s take, as an example, the city of Saint Paul and my own community, which stretches out along West Seventh. Over the last 150 years many people have come to make this street what it is today, and it is under a lot of pressure to develop and “improve” – gentrify is a better word. More and more every day there is a need to keep the character that makes it great – in short, to “Keep West Seventh Weird”. 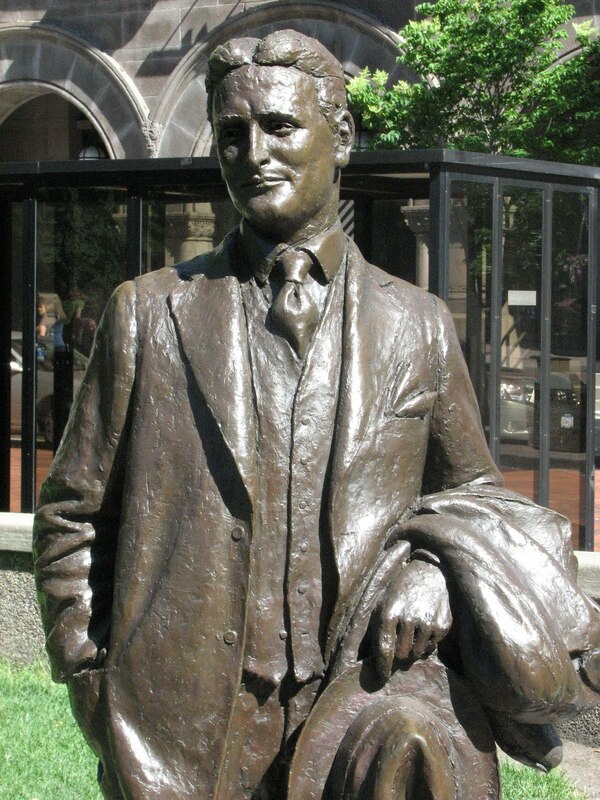 Native son F Scott Fitzgerald, enshrined in bronze in Rice Park. If we’re going to put a lot of money into transit through my community, a big part of it has to be improvements in the urban street furniture that make a walkable, livable, and connected city. And some of that should include statues of the people that made us who we are. For example, why is there no statue of our first governor, Alexander Ramsey, ideally in an action pose making a speech to a crowd? Or our founding rogue, voyageur Pierre “Pig’s Eye” Parrant? Perhaps in front of the Czechoslavik Protective Society (CSPS) hall the group that founded this organization – or to stay with the “Great Man Theory”, perhaps Antonin Dvorak, who visited in 1893. And many more ordinary people should be depicted, too, such as those who came with the Underground Railroad back when this was a safe Abolitionist town or some of the early Irish immigrants who came with nothing. Such statues could be funded, at least in part, by businesses that would benefit from a cozier urban life connected through time and space. For example, the original Cossettas might make a good statue, ideally frozen in bronze preparing food, in part as an honor of the Italian community of the Levee – and we could hit Dave Cossetta up for part of the tab for the work on his sidewalk. 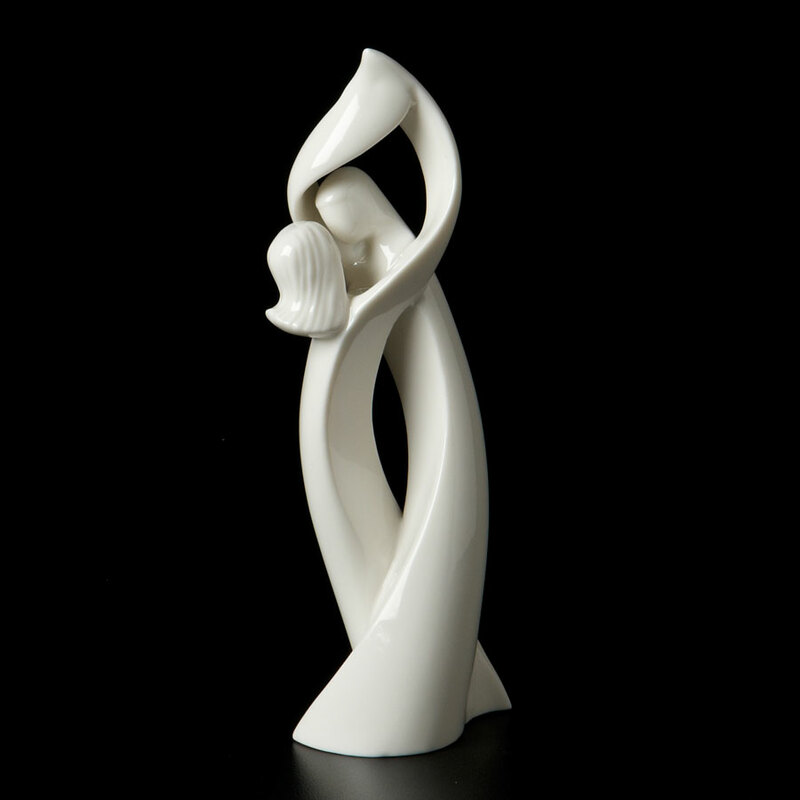 There’s always room for abstraction, too, such as this sculpture depicting love. And there are many more figures that could dot our street and remind us through our daily lives that we are one people – we have a history together of working hard to make a living for ourselves and a better community full of life and love. More to the point, this would remind us of not just who we are, but what we believe in. They should inspire us to be more than just passers-by on our way to somewhere else, but active right here and now as part of this greater good. At a national level it’s harder to imagine just what we all need to remind us, but movements like this best start at a local level. The principle is a simple one – that we are each our own doubting Thomas that only really believes what we see and experience every day. Though our lives may be changing and our values evolving, the basic principles of liberty, brotherhood, and unity are what make us a decent and respectful people. We need to be reminded of them so that we can feel them in our hearts. In a time when everything is changing, the need for statuary and other physical tokens of our beliefs does not diminish, it actually grows. Let’s start rendering in stone, bronze, and other materials those values that will help us get through these hard time. Let’s not leave the exercise that our hearts desperately need entirely up to our sometimes fearful and selfish minds. This entry was posted in People & Culture and tagged brotherhood, Culture, St Paul, Statues, unity, West End. Bookmark the permalink. I don’t know about a lot of statues around but maybe if they are different it would be good. There is a statue of peanuts characters somewhere in St Paul, is it Rice Park too? They were sitting on a bench where you could sit next to them. Things like that are fun. The statues are Peppermint Patty and Marcy, and Patty is on a park bench. They are in Rice Park. I would LOVE more statues like those, although they are plastic and a bit cheesy. But yes, more fictional figures would be great! I would definately support this. It would be very cool to have statues all along streets.